We began the morning as a group with a celebration of Martin Luther King Day and talked about the lesser-known heroes of the Civil Rights Movement. 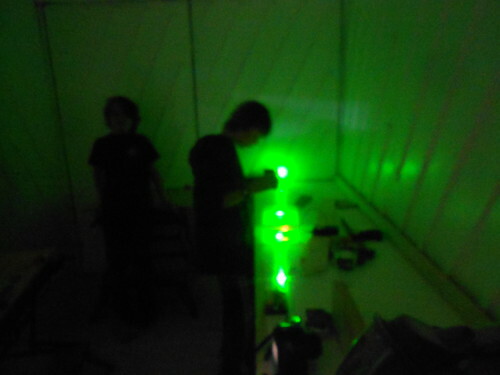 Then the bands broke into smaller groups to talk and reflect, then moved into their days and the study of motion. The Undead Goats continued experimenting with high speed photography and set up an elaborate series of events that would lead to a split-second capture of motion. 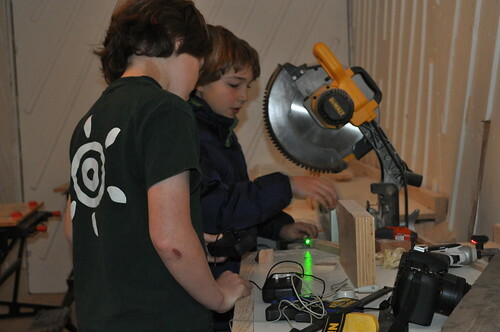 They’re now working on how to capture the motion of the chop saw as it first hits wood. Under supervision, of course. 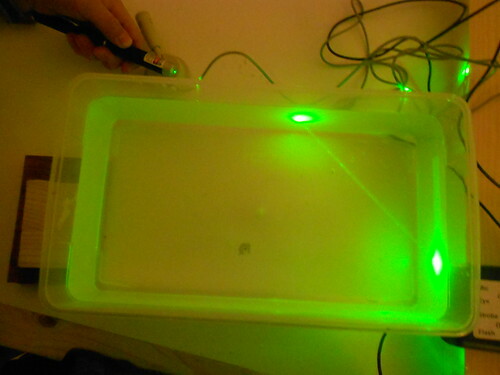 They also experimented, briefly, with the way a laser beam moves through water. 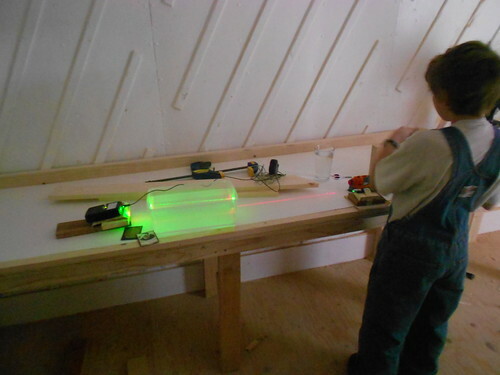 Mackenzie’s challenge to the Flying Fish was to make a contraption that would allow a ballast – a bottle full of sand – to fly in the vertical wind tunnel. Everyone had a different approach. Logan attached wings to his bottle, leading to interesting conversations about drag and pressure when wings are flat and perpendicular to the wind. 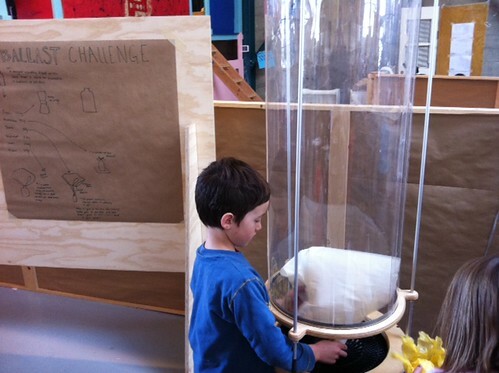 Aidan and Bruno both created successful designs based on the parachute Mackenzie used to show the idea for the day. 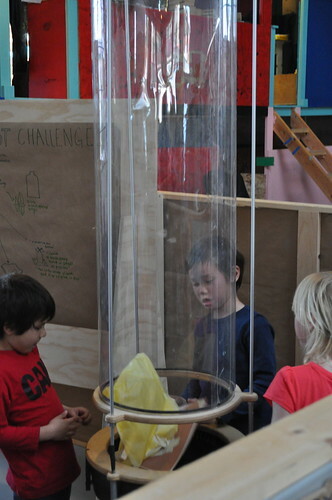 They attached the four corners of large pieces of tissue paper to their bottles and their contraptions floated right up the wind tunnel. Natasha Mei decided that she wanted to make a design that was made from things that were small and created butterfly-like wings that she hypothesized would vibrate and cause the paper and bottle to lift. Natasha realized, after numerous frustrating – if pretty – tests that she might need to increase the surface area of her craft in order to compensate for the the weight of the bottle. 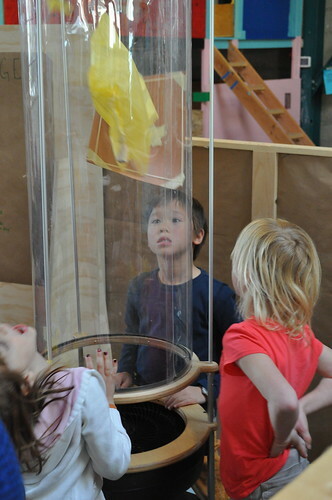 Lola and Clementine spent the afternoon exploring the different ways flat pieces and crumpled balls of tissue paper behaved in the wind tunnel, which also led to exciting discoveries about how surface area affects these objects’ flight. We’re also playing host this week to a group of Australians who have come to learn about our methods to see what they can do with their after-school program in Adelaide. We’re so excited to have them here! Looking forward to a great week.